[3 mins. 37 secs.] In this episode of the podcast we meet with the teams of two outstanding documentaries. Up first, "Holy Hell" which had its New York premiere at Rooftop Films a few days ago and which hits theaters on Friday, May 27th. For a full list of screenings and theatricals, visit their website. Guests include filmmaker & former cult member Will Allen along with two other former members Philippe Coquet and Vera Cheiffo. In 1985, Will Allen became a member of The Buddhafield, a Los Angeles area spiritual group. A recent film school graduate, Allen began to chronicle the group's activities that centered on their leader, a mysterious individual they called The Teacher, or Michel. Over time, the group's dark side began to surface, until finally, a shocking allegation against The Teacher tore the group apart - all in front of Allen's camera. [33 mins. 20 secs.] Then we welcome the team behind the new festival hit documentary "Presenting Princess Shaw" (Magnolia Pictures) including the film's subjects Samantha "Princess Shaw" Montgomery and musical genius, Kutiman, as well as director Ido Haar. The true story of the incredible Princess Shaw and the enigmatic composer Kutiman, who discovers her from the other side of the world. 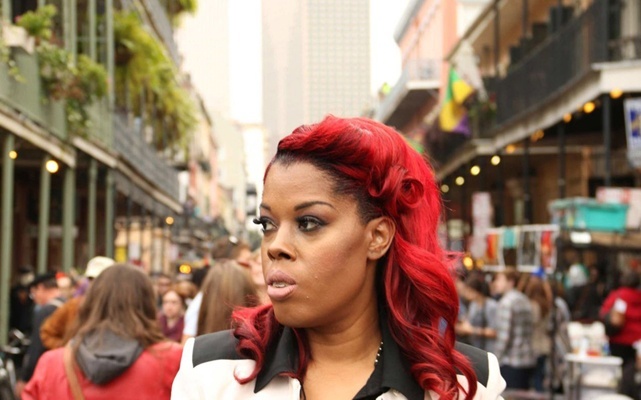 By day, Samantha Montgomery cares for the elderly in one of New Orleans's toughest neighborhoods. By night, she writes and sings her own songs as Princess Shaw on her confessional YouTube channel. Raw and vulnerable, her voice is a diamond in the rough. Across the globe, Ophir Kutiel creates video mash ups of amateur YouTube performers. Known as Kutiman, he is a composer, a musician, and a pioneering video artist embraced by the world of fine art. Two strangers, almost 7,000 miles apart, begin to build a song. "Presenting Princes Shaw" opens theatrically on May 27th as well.